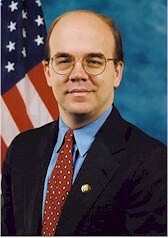 We’re proud to have Rep. Jim McGovern on our National Advisory Board. He has been one of the strongest voices working to overturn Citizens United, introducing Constitutional amendments to declare Money is NOT Speech and Corporations are NOT People. Jim fought to restore the nutrition and home heating programs to reverse severe cuts. He's a champion for human rights, and introduced resolutions to end the war in Iraq. He won't get any help from billionaires or SuperPACs. He needs activists like us to step up. Please donate generously now to reelect Jim McGovern.